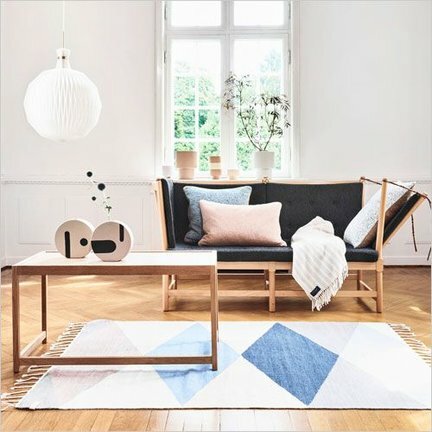 Create your own hygge Scandinavian interior with beautiful home accessories from Sweden and Denmark. If you want to decorate your home into a Scandinavian interior, you best opt for a natural look. The exact atmosphere and style is of course dependent on your own taste. For example, if you prefer more exclusive Scandinavian design furniture. They give a modern and contemporary twist to the Scandinavian interior. Or do you prefer to choose a single piece of furniture with a more authentic and natural character? Then choose a trendy pouf, or a trendy table that has a stylish and natural look. You can further decorate your interior with accessories, such as storage baskets, but also with a beautiful rug or cushions. Then you can enjoy your unique interior design even more. Opportunities enough to enrich your Scandinavian interior and yet live the sober, authentic and minimalist style of Scandinavian living.